Is the folder or file hierarchy would be maintained even after the migration. If we have to select one file at a time or data can be transferred in bulk. When the emails are transferred from one to another platform, what happens to the attachments? If the size of a particular file of The Bat! email client. Can we export that also? Does the tool need any specific environment for the migration? How much estimated time we have to spend to complete the whole process. Does the software is capable to export The Bat! to Thunderbird in bulk? Yes, you can easily shift all your data in bulk at once with the help of The Bat! to Thunderbird Migrator. Is The Bat! to Thunderbird Migrator is compatible with Mac Platform? Is it necessary to install The Bat! email application in the system to perform the conversion? No, The Bat! to Thunderbird Converter is a stand- alone utility and does not depend on any application to perform the process of migration. Does the software maintain the integrity of the data? Yes, this software retains the integrity of the data throughout the process. "I always thought that to export The Bat! to Thunderbird is a very tough process. However, The Bat! to Thunderbird Migrator Software completely changed my thinking. I have exported all my TBB files in bulk with the help of this software. The interface of this software is so easy to understand and the process of migration is quick and accurate. Kudos to the whole team of developers. The Bat! 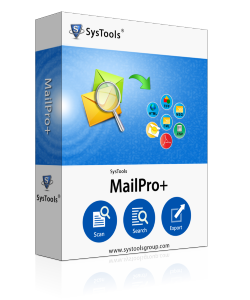 to Thunderbird Migrator, is an incredible tool with so many excellent features. This tool has resolved all my problems related to the transfer of the file. With this, tool The Bat! to Thunderbird Migration is very simple. This tool migrate the data in bulk, which is the most important thing as no one want to select each file at a time for the migration. Thanks to the developers team for this laudable software.